Landlords and tenants are to be better protected by rogue letting agents under new government legislation. A recent amendment to the Enterprise and Regulatory Reform Bill has introduced the regulation of letting agents. Until now letting agents have not been legally required to be a member of an ombudsman scheme, despite the huge sums of money the industry handles each year. 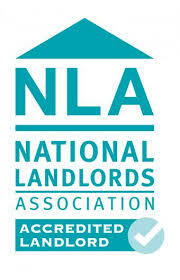 It’s thought prior to this new legislation up to 40 per cent of letting agents did not sign-up to self regulation. This made the situation difficult when things went wrong. Tenants and landlords now have the chance to get money they are owed back from rogue agents without resorting to the courts. Mistoria Estate Agents welcomes tighter regulation, we believe until now many agents have been able to operate with impunity as consumers have had no way of addressing the actions of unscrupulous or negligent agents. It’s hoped this new legislation will come into effect by the autumn, following a consultation with both industry and consumer groups. If you have a property you would like us to manage for you, please get in touch. Call us on 0161 707 6106. We look forward to hearing from you.